Sanders announced his second run at the presidency on Feb 19. Sen. Bernie Sanders announced on Feb. 19 that he is making another presidential run in 2020. The outspoken senator is reportedly worth $2 million. The 77-year-old has been a longtime champion for the American middle and lower classes. Don’t double check your calendar. 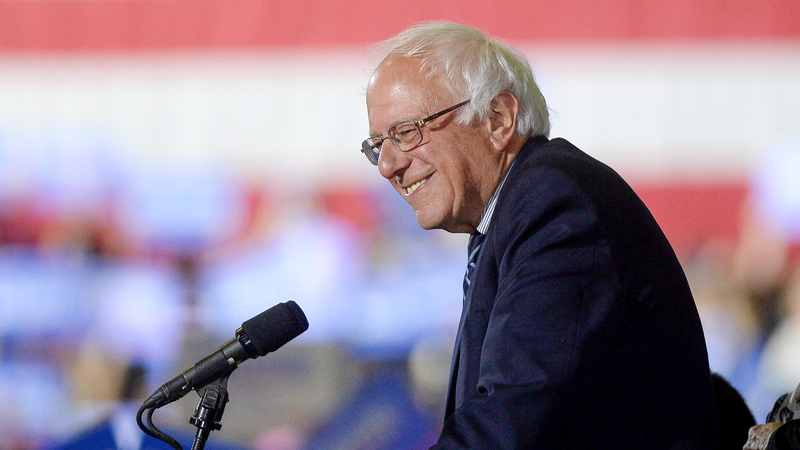 It’s not 2016, but history seems to be repeating itself because Sen. Bernie Sanders announced on Feb. 19 that he’s running for president again in the 2020 election. The Independent from Vermont is a self-described democratic socialist, and the career politician has fought for the American middle class while admonishing the ultra-wealthy. Here’s a look at his net worth as he prepares for another presidential run. Sanders is worth $2 million, according to Celebrity Net Worth, and brings in $174,000 a year in salary as a U.S. senator. His claim to fame might be taking third place in the 2016 presidential election, but Sanders remains one of the country’s most popular politicians. During the 2016 presidential election, he won over the hearts and minds of millennial voters in part due to his platform of free college tuition, LGBTQ rights, environmental protection, equitable taxes among the socioeconomic classes and relaxed marijuana laws. In the first two years of President Donald Trump’s term, Sanders has been in direct opposition of the president and has voted against the administration’s legislation more than 80 percent of the time. Hailing from Brooklyn, N.Y., Bernard “Bernie” Sanders is the son of a Polish immigrant. He and his family lived in a modest rent-controlled apartment. Sanders left Brooklyn for the Midwest to study at the University of Chicago. In the early 1960s, Sanders came of age during the Civil Rights Movement and was a student activist who organized sit-ins in opposition to segregation. He was also one of 250,000 people who descended on Washington, D.C., to hear Martin Luther King Jr.’s historic “I Have a Dream” speech during the March on Washington in August 1963. Sanders eventually moved to Vermont and hit the political scene in the 1970s. After failed attempts to win a U.S. Senate seat, Sanders focused his efforts on local government, and in 1981, Sanders won the mayoral race in Burlington, Vermont. In 1990, Sanders made the jump to state politics and became Vermont’s sole congressman. Over the past three decades, Sanders has stood up to big pharma, rebuked war, championed the Affordable Care Act and fought for low-income Americans. Learn: Bernie Sanders’ Student Loan Forgiveness Plan Works for Millennials, but What About Everyone Else? He and his wife, Jane, have four children and seven grandchildren. The couple resides in Burlington. Read more about the richest and poorest U.S. presidents.